I hope you are all having a fantastic September so far. 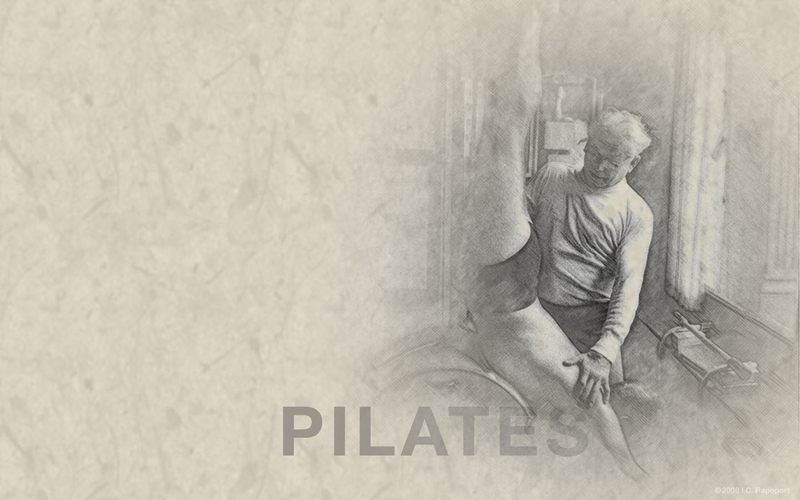 I thought I would share an interesting interview/discussion on Memories of Mr Joe Pilates. Enjoy! Have a great week friends. Thought I would share with you some interesting articles I have come across from around the web. 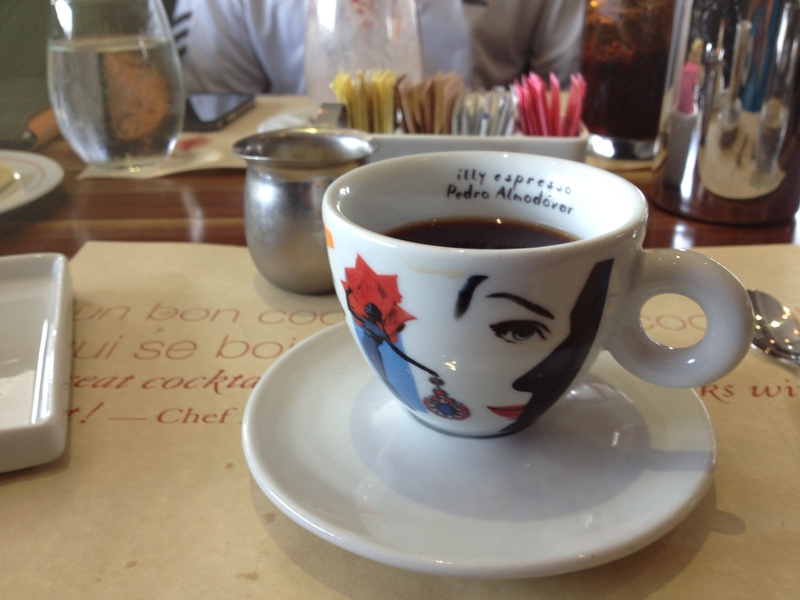 Grab a cup of “joe” and enjoy. What are your favorite reads from around the web? 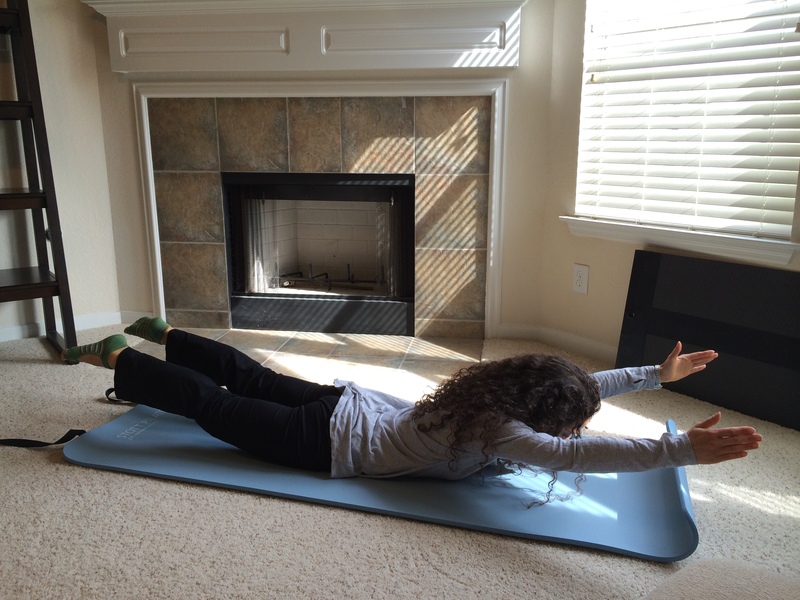 The Pilates roll up works the abdominals but it also works on spinal articulation. When performed correctly the rollup is more effective on strengthening the abdominals than countless crunches. As a side note you may have noticed the count or rep range in Pilates is remarkably less than most fitness exercises, except for the Pilates hundred. You may have wondered why, and I will let Mr Pilates answer this with one of his many quotes ” A few well designed movements properly performed in a balanced sequence are worth more hours of doing sloppy calisthenics or forced contortion.” The focus in Pilates quality over quantity. Let’s get back to the Roll up. 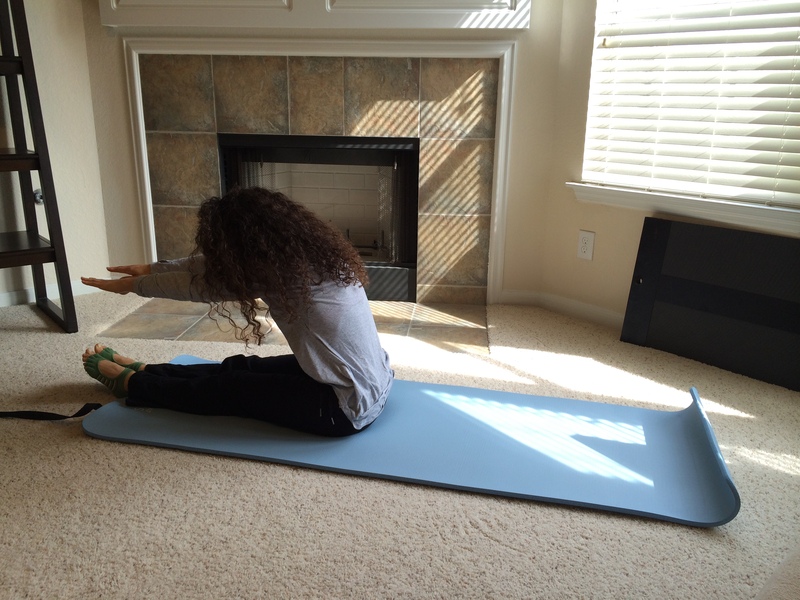 Personally, I have had a love hate relationship with this exercise when I just started Pilates, because I was not able to perform the exercise correctly, but through practice and some helpful tips/modifications on my Pilates journey the roll up has become one of my favorite exercises. The purpose of this article is to share some of the modifications I not only used for myself but ones I use with my clients. Common “roadblocks” while performing this exercise is 1. weak abdominals 2. a tight low back 3. not recruiting the bum and hamstrings. The first tip is to keep your knees bent and as you roll up straighten your legs. 2. Place a rolled up towel under your low back and press into the towel as roll up and roll down. 3. Holding light weights 1-2lbs during the exercise will help. 5. The half roll back is a great way practice. Instructions for Half Roll Back: Sit tall and roll back to about the top of your pants, maintaing the C curve, and roll back up, again you can hold the back of your thighs to assist. 6. 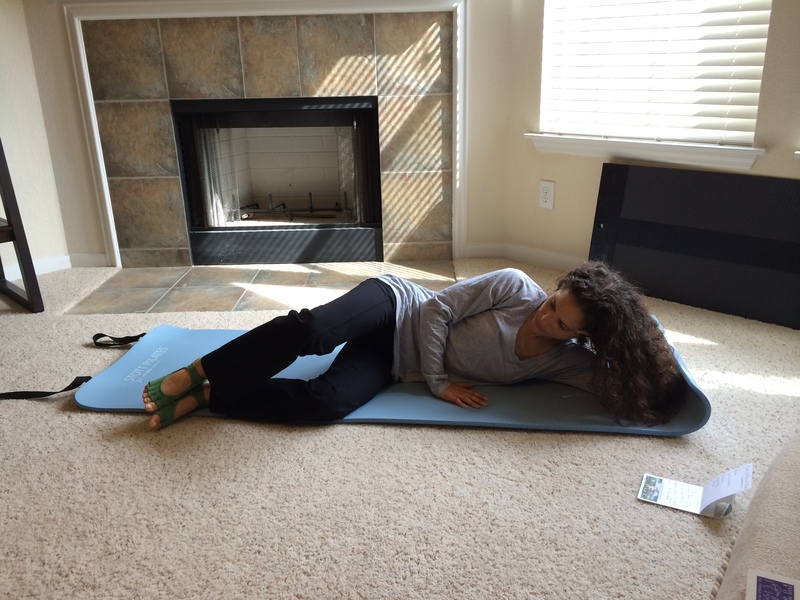 Remember to press the back of your thighs into the mat and to squeeze your glutes. 7.Place a theraband around your feet and holding the ends in your hands. Use the band to assist the roll up. Be patient with your self and keep practicing. Pilates is grace, strength and stability through movement. This is a slightly different post from the norm. 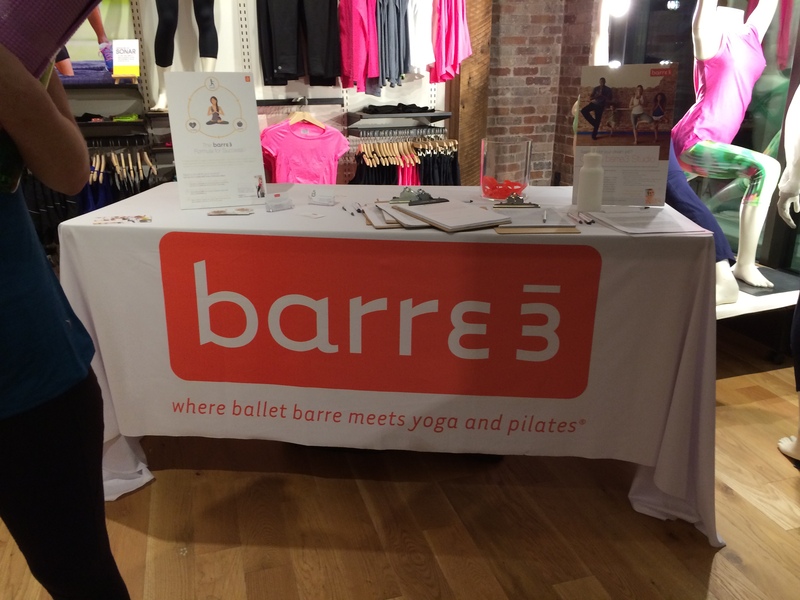 This past weekend I was able to combine two of my favorite things ( other than Pilates:)) and that is going to one of may favorite fitness apparel stores, Athleta and taking a Barre3 class. 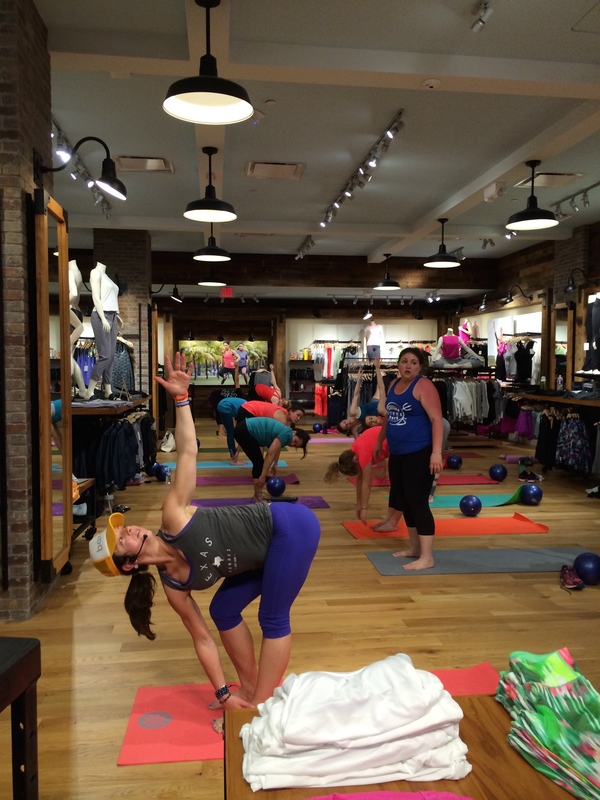 Athleta is an awesome fitness apparel store that has three locations here in Houston and they offer different free fitness classes in their stores. As many of you know I like to change my exercise routine often, cross training is definitely something I promote, go ahead mix up your training routine. “We draw from multiple influences to create innovative classes that focus on length, grace, and a healthy body. 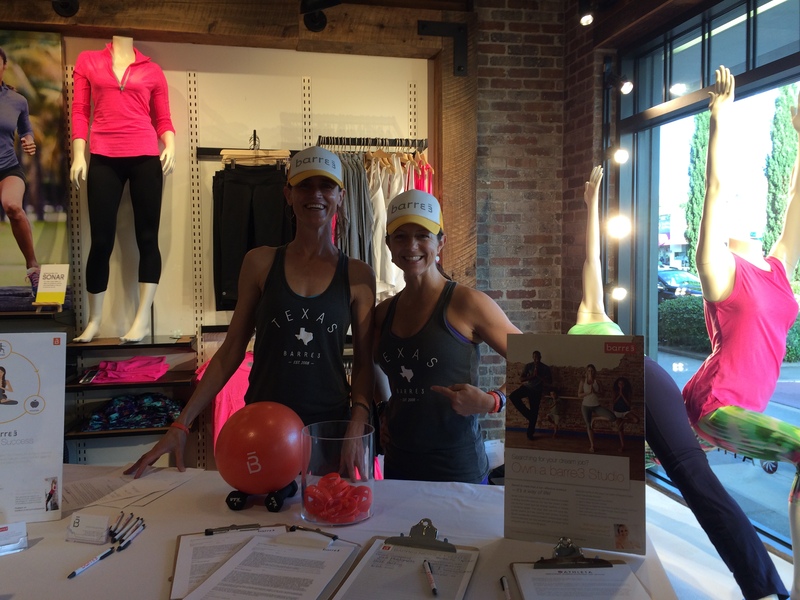 Sadie Lincoln, barre3 founder, works closely with a team of experts including yogis, professional dancers, doctors, and athletes to craft highly efficient workouts. Focusing on a unique combination of dynamic movement and isometric holds, the sequences work strategically to transform the body and develop long term postural benefits. A continuously evolving variety of movements keep the classes challenging, fun, and fresh. Whether you work out in the studio or at home, barre3 fits your life while enhancing it with greater functional strength, higher energy, and a sense of ease. 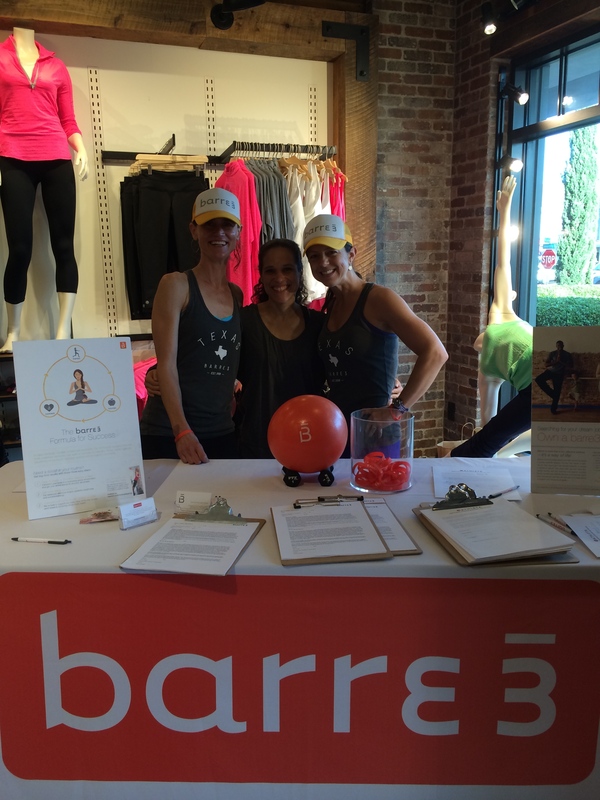 Athleta and Barre3 partnered up to allow fellow Houstonians to experience a live Barre3 class. Liz Fitzgerald, the Franchise Development Manager and Master Trainer Allison Beam came down and hosted/taught the classes this weekend, these two ladies were just so very nice and you could see their passion and love for the workout. Their excitement for upcoming session was contagious!! Full disclosure, I have taken quite a few in studio Barre3 classes and the workout is phenomenal. This weekends class did not disappoint, yes I felt the burn and the shaking muscles. The workout is based on isometric holds, which work your muscles to their deepest point, the one inch moves increases your body temperature ( hello sweat!!) and the dynamic moves raises the heart rate. If you are not able to experience a live class, (they have a few studios here in Texas), you can order the DVDs from their site or sign up for the online subscription classes. If you would still like to learn more, connect with them on Facebook . What was your highlight from the weekend? 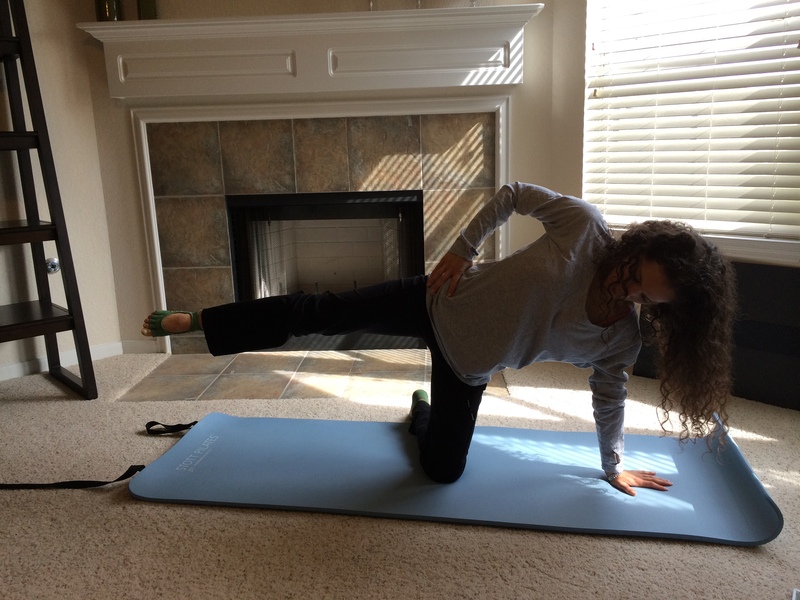 A Pilates routine is not complete without the Pilates Hundred. I like to include the ball in the sessions to keep the lower body still. Lie on your back with legs in table top position keep your shins parallel and curl up keeping your shoulders away from your ears. Pump your arms inhale for 5 breaths and exhale for 5. Keep your abs engaged and keep your eyes on your thighs. Just like in nutrition no two diets are the same. A particular way of eating may work for one and not the other. The same is true for each person that comes to a Pilates session. Everyones body brings something different to the “table”. Because we are not all made the same we can’t do all the exercises the same way. This is one of the many reasons why I love what I do, I am always learning from each clients body. 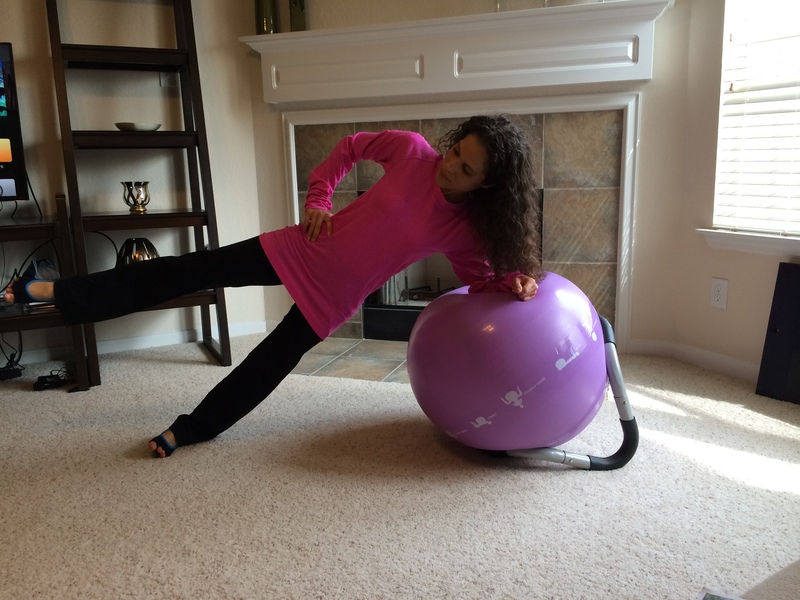 The Pilates method of exercise allows me, the instructor to meet the individual body where it is at the moment. This is teaching with compassion and kindness. Targets the glutes, core, low back ,hamstrings and lumbo pelvic stabilization. Lie on the with your right knee bent raise your left leg up inline with the right knee arms open in T position. Engage your ab muscles, press into your right heel raise your hips up. At the top there should be straight line from your shoulder to your hip and thigh. 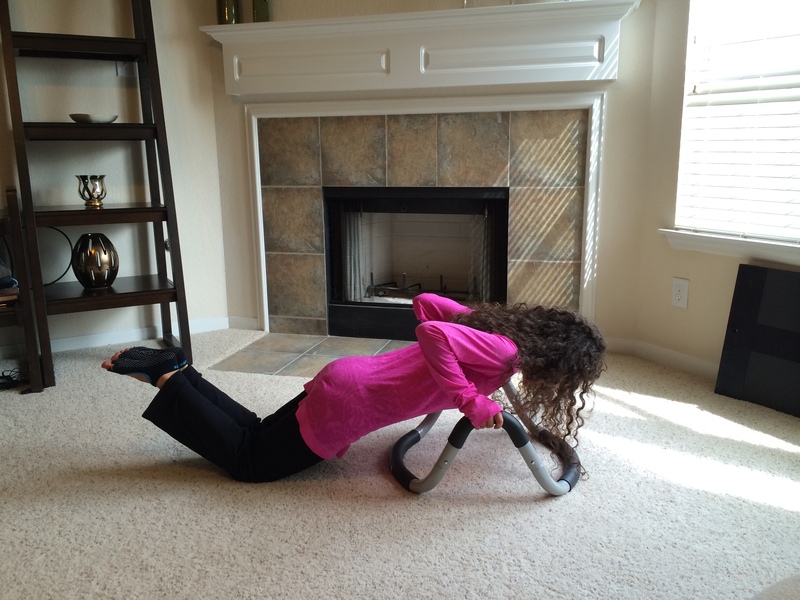 Hold at the top for 2-3 seconds then lower back to the floor. Repeat. 3 Sets of 15-20 reps. I would like to introduce you to the Halo Trainer, it is a Physical Therapy approved device, great for Pilates sessions and overall fitness conditioning. But before I get into more details let me tell you about the creator of this amazing apparatus. The creator of the Halo Trainer is Bryce Taylor ( PT,MS) he is a practicing Physical Therapist with 15 years of Personal Training experience. The Halo Trainer adds a new dimension to your training routine. It incorporates strength work, flexibility training. injury prevention overall fitness conditioning. 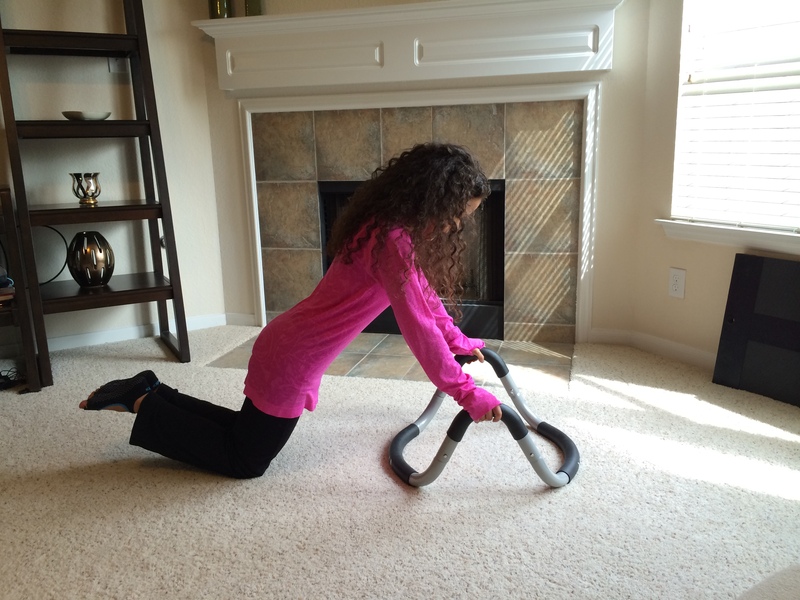 The Halo Trainer’s ergonomically made handle bars are safe and comfortable for the wrists. 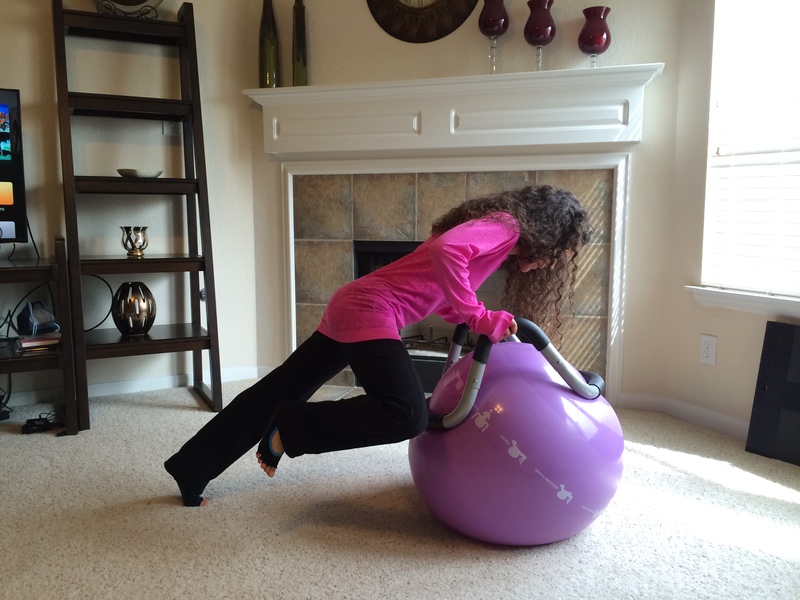 It is so versatile you can use it by itself with a a 65cm stability ball, BOSU or TRX trainer. Using the Halo you will engage your core while strengthening your shoulders, hips and knees etc. There are 6 key ways to use the Halo Trainer in your sessions, here is a link to see how this is used. In training there is no one size fits all, everyone’s body is different, the fitness levels are different and training needs are different and the Halo Trainer fits this perfectly. There are 4 levels of difficulty when using the trainer for the over 300 exercises in the repertoire. This enables you to progress or regress the exercises depending on your needs and or the clients needs. If you are not familiar with this training system, hop over to their site and explore. I promise you will not be disappointed in adding the Halo Trainer to your current routine. I felt the work immediately, your core will be on fire. 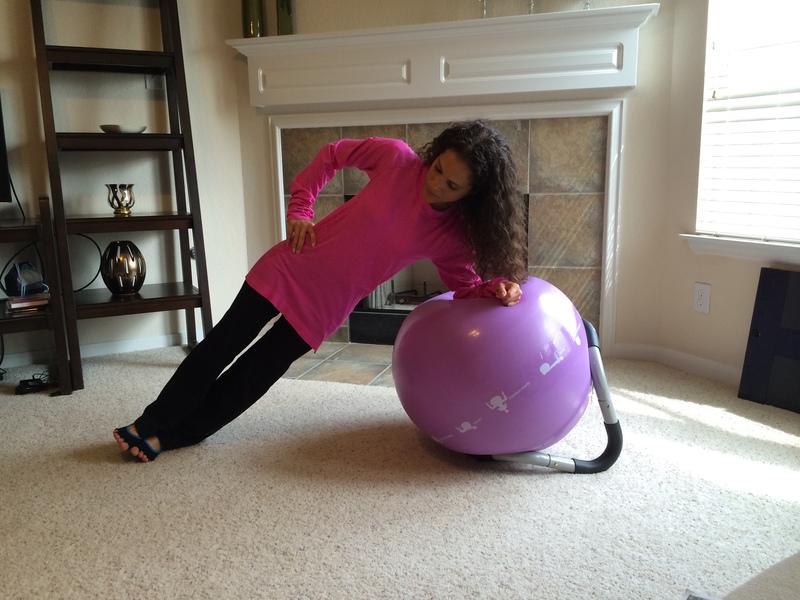 Here are a few exercises using the Halo Trainer. Here is a video using the Halo Trainer with the TRX. If you enjoyed this post please leave a comment and share. These exercises are a continuation from the previous post. As always check with your doctor before engaging in any exercise activity. ( This exercise is great for increasing back extension as well as strengthening the back extensors, hamstrings and gluteals). Lie on your stomach, palms on the mat. 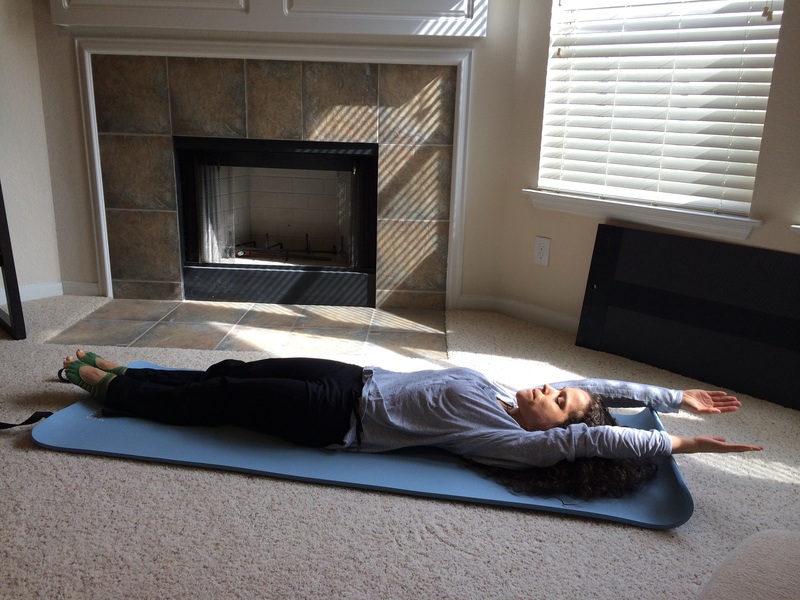 Lift your upper body into extension as you press your hands into the mat. 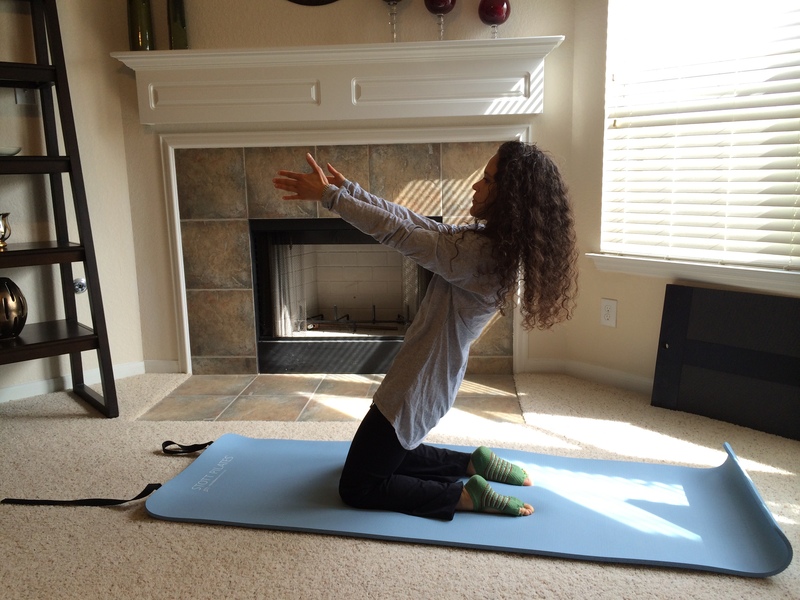 Reach the arms forward while rocking your chest towards the mat. Bring your hands back underneath you and catch your body in the Swan position. ( Great for challenging your balance, torso and pelvis stability, improves hamstring and hip flexors flexibility, strengthens shoulders and lats and strengthens the hips). 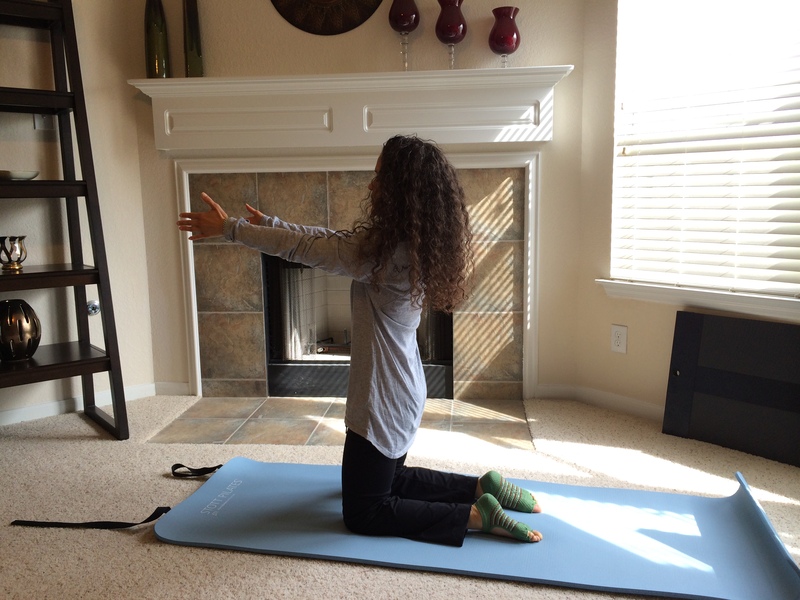 From a kneeling position,lean over to one side until your hand touches the mat. Extend your leg to the side to hip height. Keep your bottom hip pressed forward so your torso is as straight as possible. Kick the top leg forward and back, 6-10 times is sufficient and switch sides. Lying on your back, straighten legs to the ceiling. Tilt your legs to one side,allowing your hips to lift off the floor. Allow your legs to swing down towards the floor, circle through center and up the opposite side. Keep your legs together, shoulders anchored, and make smooth even circles in both directions. Lie on your side, heels are in line with the gluteals. Hips flexed at 45 degrees, knees at 90 degrees. 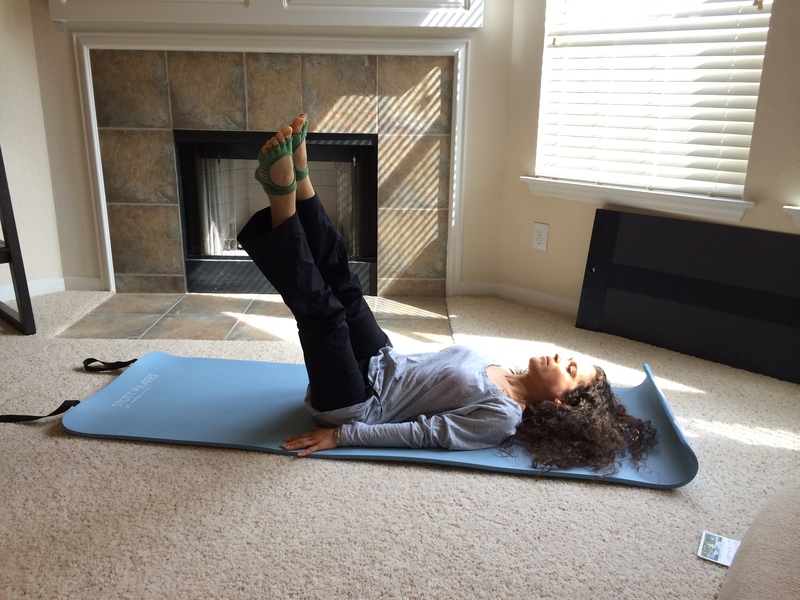 Abdominals are engaged and your pelvis is neutral. Keep your ankles and feet glued together as you abduct the top leg, without allowing your hips to roll back. Repeat 10-15 times on each side. Kneeling with your ares extended, parallel , hinge back keep pressing the pelvis forward, leading with the pubic bone. 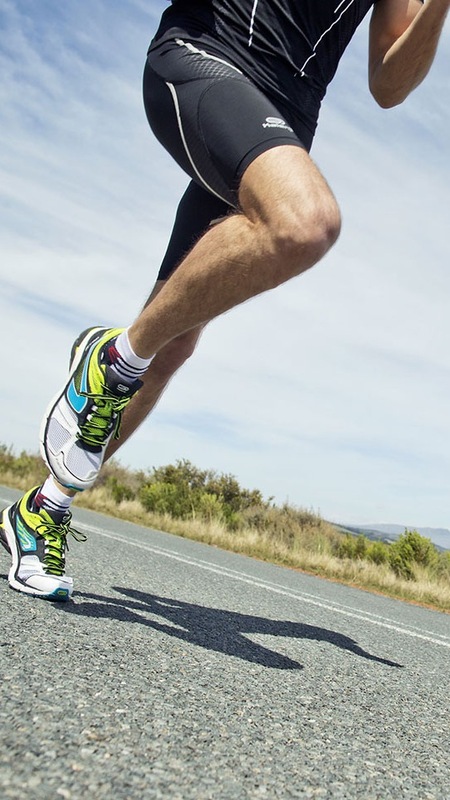 There should be no movement in the body only at the knee joint. I hope you enjoy this little sequence.